We are proud to say that we have developed more than 15 services that are adapted to the unique circumstances and conditions faced in remote and rural communities. Please read our service descriptions to learn more and consider whether the services can be useful in your contexts. Hopefully these innovations will continue to create positive impacts for people living in rural communities, not only in the partner regions in Scotland, Norway and Sweden, but also across rural areas across Europe and Beyond. To get an in-depth understanding about the impacts the project has generated please check out the reports on; Organizational and Economic Evaluation, User impacts, Ehtical Issues and on the value of transnational learning. On RemoAge´s final conference, project partners presented the experience and knowledge of testing new working methods supported by digital technology. The conference attracted stakeholders from different countries, with 150 participants on location and 50 who followed the conference on video streaming. Health care personnel from the northern Norway's, Scotland's and Norrbotten's sparsely populated areas have during three years tested and developed approximately 13 new working methods, such as Digital medical round, Coordinated individual planning and Remote night supervision. Keynote speakers Donna Henderson, Head of International Engagement at Scottish Centre for Telehealth and telecare at NHS 24, and Une Tangen, Senior Advisor, Innovation, Research and Digitalization, The Norweigan Association of Local and regional Authorities, shared their insights on how digitalization and collaboration can meet future needs. Watch the presentations from the RemoAge conference in January 2018 in Luleå, here. Why do we need to change the way we work and how can we do it in practice? Public Sector is facing significant challenges, especially when it comes to health and care services. Join RemoAge for the projects final conference in exploring innovative health and care services for an informative and educational event in Luleå January 16 next year. We face major challenges in the public sector, and in particular, this concerns health and care services. But challenges also provide opportunities. 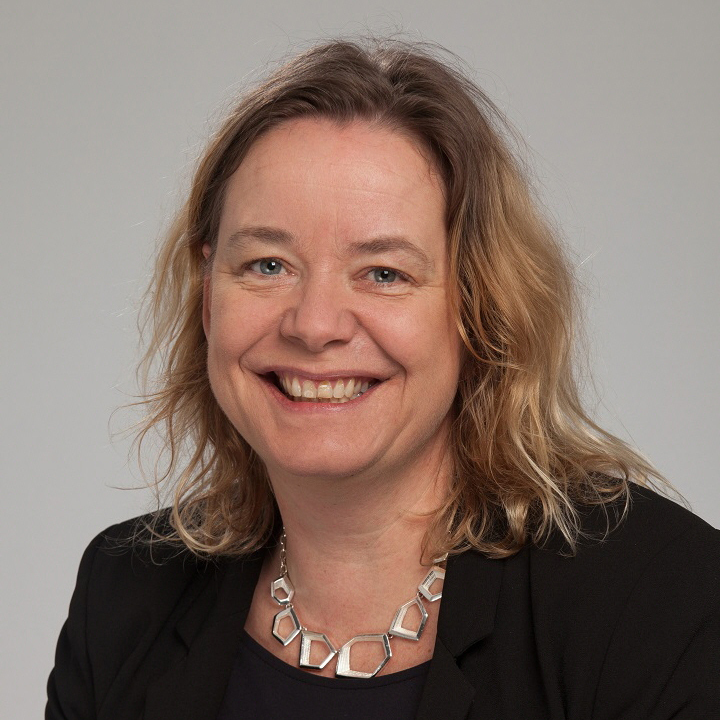 Keynote speaker Une Tangen, Senior Advisor - Innovation, research and digitalization, The Norwegian Association of Local and Regional Authorities, will provide examples from Norwegian municipalities and show that it is possible to solve a number of tasks in new ways. There is a gradual change in which the recipient's own resources are put in the center. Assistance for self-help, everyday mastering, a shift in the mindset from treatment to prevention and from late to early efforts means that scarce resources can be more targeted to those who need it most. Digitalization and use of welfare technology also contribute to increased coping, security and control over their own health, as well as preventing stress injuries to employees. In the future, the use of digital solutions and welfare technology will provide good services to many more residents. The medical and rehabilitation clinic at Piteå Hospital has a wide catchment area reaching over 350 km from the mountain areas in the west to the coast in the east. Because of long distances, some care plans are made by telephone. Many of the patients at the hospital in Piteå belong to the municipality of Älvsbyn and the distance of 50 km means that the municipality's representatives do not have the opportunity to participate in all care plans in place. Previously, speakerphone has been used and patients have trouble hearing what is said and know who it is talking. – For several years, we have planned discharge plans via video and tested a few times. But for various reasons we have not succeeded, says Gudrun Bergström, local project manager at Piteå Hospital. They heard about the RemoAge project, became curious and asked if they could participate. With the help from the project and partly old equipment, they got started. – We have used Skype where the responsible nurse in the hospital sent an invitation to the meeting. At the discharge meeting the patient is placed in the centre of the computer screen and clearly sees who participates from Älvsbyn. Many people become very happy when they see people whom they met before and have a much greater retention of the meeting than when it was done by phone. We get a higher quality of the discharge plans and both patients and relatives are more satisfied, says Annelee Mickelsson, local project manager at Älvsbyn Municipality. The experiences among the nurses at the hospital are mixed. Most of them are very positive, while some find it difficult with video meetings and have problems with the technology. – There are clear manuals and routines, but it requires both practise and some pressure to make sure everyone is using the new way of working. The overall assessment is certainly very positive, and we intend to continue with Skype Discharge Plans, and we are also thinking about implementing this way of working in other locations, says Gudrun Bergström. The RemoAge project tests and implements several services that include the use of different ICT applications and tools to support vulnerable older people. In the planning and discussions that took place in the process of writing the proposal for the project ethical issues related to the implementation of the services in the different national contexts were discussed and considered very important to evaluate and learn more about. 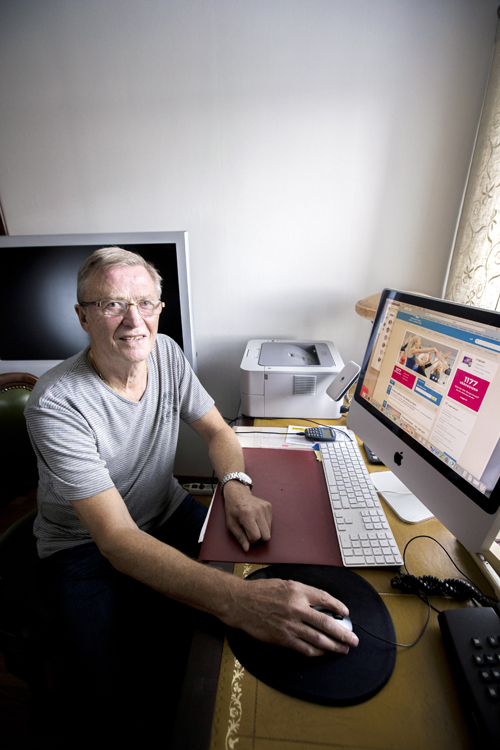 Assistive technology and ICT based services are often promoted as means of retaining autonomy and quality of life for older people, including people with dementia, and enable older people to continue to live in their own home. At the same time there are also several risks identified that could create ethical issues for the individual. Part of the process of focusing on ethical issues was to review existing research and this is a summary report describing the findings and conclusions from the review of literature. Results from the RemoAge-project will be presented at the conference in Luleå, Sweden. In January the project team will meet up for one last project meeting in Luleå, Norrbotten, Sweden for a busy three day schedule with presentations of the final results, workshops and study visits to some of the pilots taking place in Norrbotten. In February 2017, a project started in Norrbotten to develop a work model that enables patients, relatives and healthcare professionals in rural areas to have video consultations with specialist physicians and counselling palliative care teams. The county of Norrbotten covers one quarter of Sweden's area and has about 250,000 inhabitants. The county has large parts of rural countryside with long distances and is one of Europe’s most sparsely populated regions. In the county there are 14 municipalities responsible for social care and the Region of Norrbotten, responsible for health care, has one County hospital and four district hospitals divided into five community healthcare areas. The responsibility for general palliative care in Norrbotten rests on primary care General Practitioners, municipal home care and nursing homes. It is supported by specialized palliative care consisting of palliative counselling team and palliative inpatient-care units at each hospital in the county. The health care professionals in the rural areas can by using a laptop or tablet set up a video conference meeting with a palliative counselling team in another location for consultation or follow-up. The new way of working improves the opportunities for patient and relatives to receive qualified support for palliative care directly at home. Video consultations reduce travel especially for the patient but also for staff and increase the prerequisites for optimal utilization of the palliative counselling teams limited medical resources. Distance assessments and follow-ups have previously been done by telephone only, but now with the new technology, it is possible to provide safer assessments through video conference technology. The target group for the project is patients with palliative care connected to palliative resources, their close relatives and health care professionals in five rural municipalities in Norrbotten. The RemoAge Project is moving rapidly towards the finish line. While the RemoAge pilots only will continue to be co-funded by the Northern Arctic and Periphery Program whom has made RemoAge possible for a few additional months I am very proud to already be able to say that RemoAge Services will continue to make a difference after the project period. The very successful project teams in the Shetland Islands, Western isles, Tromsö and Norrbotten has worked very hard to put the necessary conditions in place for continued service delivery and development also after the projects duration. 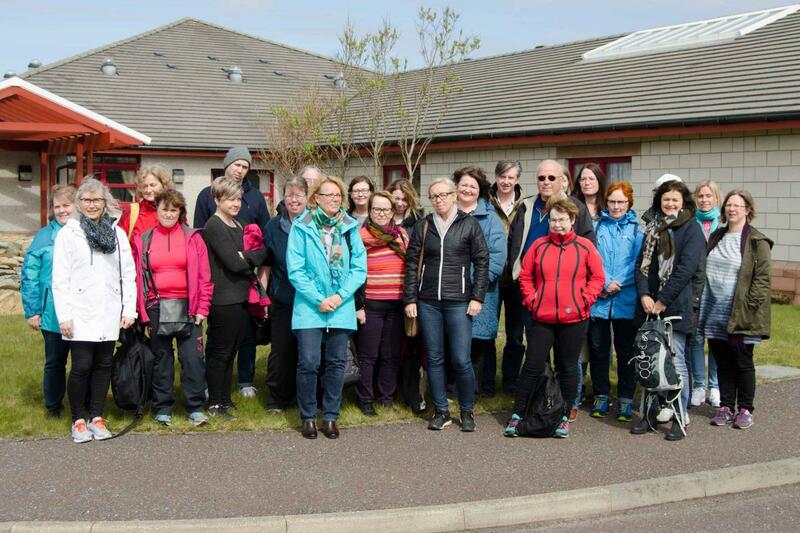 On the 9th-11th of May 2017, all the partners in the RemoAge project met on the Shetland Islands to talk about Ethical Evaluation, Transnational Learning and Data Collection, but also to have workshops and a public exhibition. – We have had a really exciting time, sharing some good ideas with people. We are hoping that people have found the tour we had on the north island here in Shetland interesting, informative and entertaining. We would like to thank everyone for coming and hope that they come back and see us again in Shetland some day, says Alan Murdoch, National Health Service Shetland. In the work of implementing new technologies the RemoAge project needs to get evidence of what works and what does not work. During the partner meeting in Shetland data was collected about the outcome for frail older people and their families. Transnational learning is important within the RemoAge project because the partners are concerned with the practical details of the implementation of different services. To have an exchange of ideas on a practical level is very helpful. Many ethical issues arise when new technologies are introduced. New ways of working and new concepts result in issues around safety security and organizational changes. One uses Ipads to enable older people living on islands with low access to public transport, which make it difficult to participate in social activities taking place in the central city. By connecting with the support of a relative or caregiver, the person can talk to friends, relatives or other people, as well as participate from a distances in different social activities. When the RemoAge team visited the Nordalea Care Centre on the northernmost island of Unst, the team got the chance to talk to elderly residents who visited the daytime accommodation to participate in various social activities. The group we talked to had recently tested video calls to talk to a similar daytime activity in the outer Hebrides, something that was highly appreciated. The second service was in the starting pit of testing a digital platform for elderly, their relatives and healthcare staff (http://myethel.co.uk/). The service has previously been tested in other parts of the UK with promising results. Please find below the previous newsletter editions.